Tires are primarily about protecting your safety and maintaining the good condition of your car, so you don't want to scrimp too much when you need new ones. However, there is a way to combine safety and savings to get good deals on discount tires. 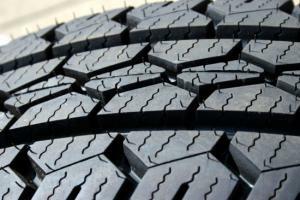 Buy the correct tire for your vehicle's frame and weight capacity. The most accurate location of this information is inside the driver's door frame and, if you have factory-installed tires, on the tire itself. All-terrain tires are helpful. However, depending on your location, you may still need a set of winter tires. Purchase a full set or, at the very least, a pair of tires. This way, you have a proper pair to rotate evenly. A single tire will have a different wear, and can affect your traction and braking ability. There's no easy way to estimate the cost of discount tires, because the final tally depends on the type of vehicle, brand-name vs. less-advertised tire manufacturers, and special mounting and balancing requirements. On average, most passenger car discount tires will fall into the $25-$60 range; mid-size SUV and light truck tires somewhere between $50-$80; and larger SUV and trucks $80 or more per tire. Mounting and balancing varies from $13 total upwards of $40, with deals to be found where you purchase the tires. Discount Tires Direct offers free shipping within the contiguous 48 states, special financing, and a function that allows the purchaser to find an installer nearby. All major brands are featured, as well lesser-known models, with reviews provided for each. The Tire Rack is for the more detailed tire purchaser still wanting a good deal. Breakout is easily done by make, model, and year of vehicle, and anticipated purpose, such as high performance vs. all-terrain passenger. Also has a "find an installer" function. Independent garages and tire centers: Sometimes manufacturers strike up promotional deals with independent shops to help build a customer base. If it's a name-brand shop such as Firestone or Goodyear, watch for clearance specials, especially in the spring and fall. Warehouse stores: Even with the required annual membership fee, many warehouse stores have great deals on tires, plus the mounting and balancing. What's more, many warehouse clubs offer free rotation and balancing for the life of the tire. Big box stores: Places like Sears and Walmart often get bargains with tire manufacturers in the hopes of bringing the customer in for additional items. Compare sales circulars for a month or so before setting out to buy discount tires. Another option for discount tires is to purchase retread tires. Retreading is a process of removing the worn tread, or exterior, of a tire, and applying a new tread to the tire casing. Industrial transportation systems have been using retreaded tires for decades. School buses, airplanes, large trucks, and farm equipment normally use retreaded tires. In fact, in 1993, President Clinton signed a law in the United States that required all government vehicles to be outfitted with retreaded tires. The misconception is that these tires are substandard to new tires for passenger vehicles. However, they have proven to be just as reliable and safe as new tires. Retread tires can cost approximately 30-50% less than a brand new tire. Unfortunately, it is still not a common alternative for most passenger cars. Consumers will have better luck finding retreads for light trucks and recreational vehicles. For more comprehensive information about retreaded tires, or to find a retailer of retreaded tires near you, visit the Tire Retread & Repair Information Bureau. Maintain proper tire pressure - do not over or under inflate tires. Purchase tires that are the size recommended by the manufacturer. Have a professional balance and properly align tires. Rotate tires according to vehicle recommendations. Replace tires when the tread is worn. These tips help keep tires in good condition and helps stop preventable accidents from happening. Tires are an important safety device, so even if you want to save money on their purchase, it pays to properly maintain them.